noun: parabola; plural noun: parabolae; plural noun: parabolas a symmetrical open plane curve formed by the intersection of a cone with a plane parallel to its side. The path of a projectile under the influence of gravity follows a curve of this shape. Universal Design Studio, a London based architectural firm with an international clientele that includes boutique hotels and restaurants, retail spaces, workspaces, galleries and renowned cultural institutions, has announced the recent completion of the interior of the restaurant and members’ lounge at London’s new Design Museum. 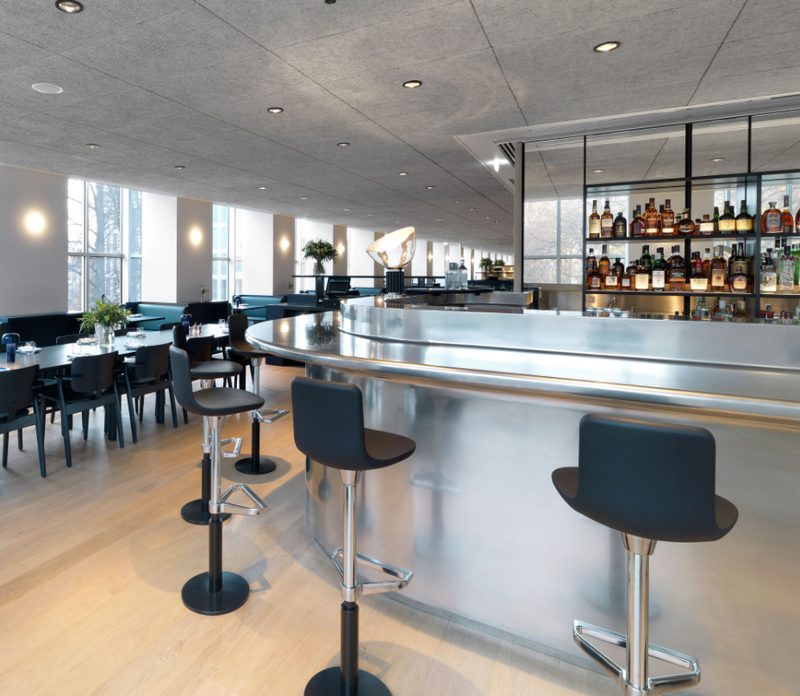 Called Parabola, the restaurant is located on the top floor of the museum’s new home on Kensington High Street. It is operated by Prescott & Conran. 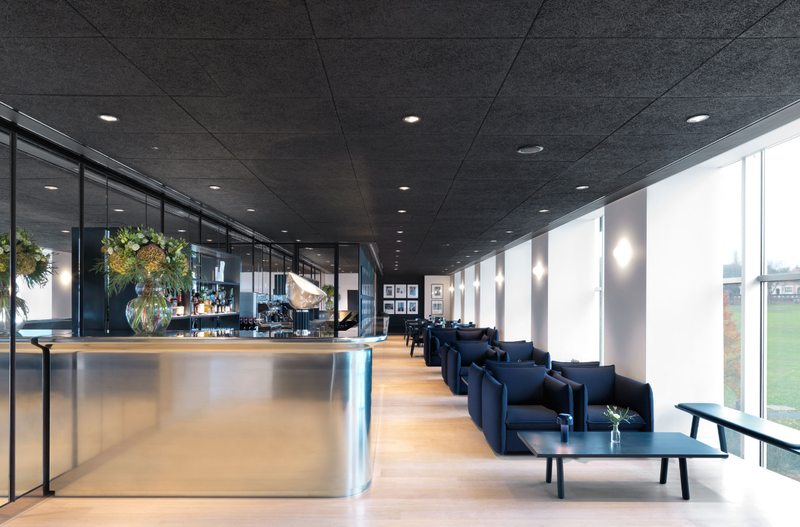 Parabola and the museum’s Members’ Room both have high-polish pewter bars that are situated to make the most of the views onto west London’s Holland Park. The Private Members’ Room is intimate and darker in tone. Mirror wall panels sit behind the polished pewter bar, black walls create the backdrop for a collection of furnishings by Edward Barber and Jay Osgerby, owners of Universal Design Studio: blue and black upholstered Mariposa sofas; blue lacquered low tables and a wood bench in the lounge area. Parabola design team: Irenie Cossey, Aurore Baulier, Samantha Leist. Restaurant: By night Parabola will pioneer a regularly changing ‘Guest Chef Series’; becoming home to some of the world’s most exciting and leading culinary talent, from internationally renowned chefs, to cookbook writers and regional stars. Hours: Open from brunch through to dinner, seven days a week. 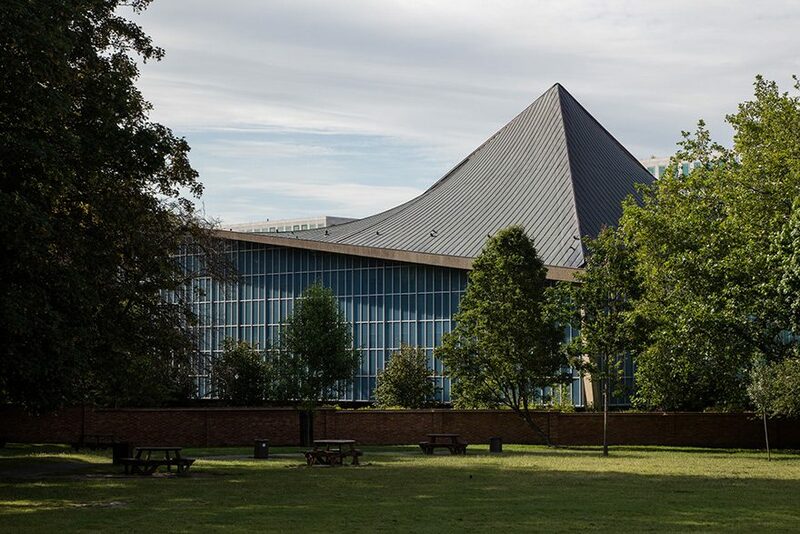 Parabola is named after the iconic mid-century modern roof of the building housing the new look Design Museum is a bar café restaurant located within the museum, that is open to all, whether visiting the museum or not.